Met Music Director James Levine leads this Live in HD presentation of Wagner’s early Romantic opera, starring Johan Botha in the title role of the minnesinger torn between earthly passion and true love. Eva-Maria Westbroek is Elisabeth, whose unswerving devotion redeems Tannhäuser’s soul, and Peter Mattei sings Wolfram, his faithful friend. Michelle DeYoung as the love goddess Venus and Günther Groissböck as Landgraf Hermann complete the cast. 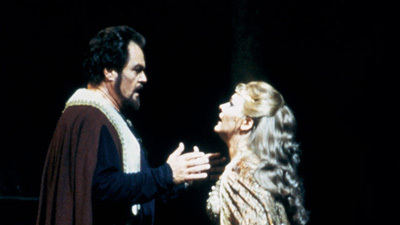 Otto Schenk’s classic production was the first of his acclaimed Wagner stagings at the Met.